Many years ago, the Lino family migrated to the neighborhood from Brooklyn New York with the dream of opening a New York-style pizzeria, bringing with them a sense of pride and tradition along with authentic recipes developed by Filomena Lino herself, the family matriarch. 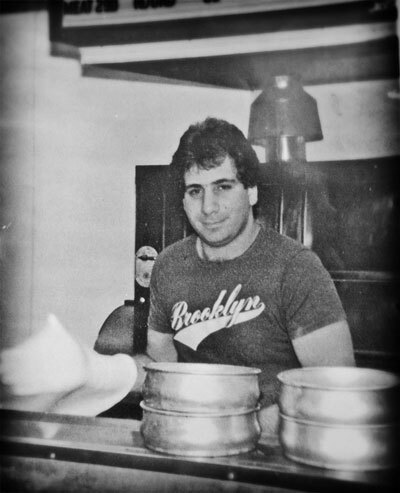 Humbly, 25 years later with support from our community, Big Apple Pizza and Pasta Italian Restaurant ® has become known for our commitment to quality and old fashioned customer service. From our family to yours, enjoy and we hope to see you again soon. At Big Apple Pizza & Pasta Italian Restaurant ®, we are proud to serve freshly made dishes from Mama Lino´s authentic Italian recipes. We prepare our signature homemade sauce with our famous handmade dough everyday. All of our dishes are made to order using the finest Italian cheeses, pastas, meats and vegetables. The same great food, that you find in our restaurants is also available for delivery or take out. We can also prepare larger orders for your catering needs. Please visit your local neighborhood Big Apple Pizza & Pasta Italian Restaurant location soon.